Come along and learn how to play Backgammon, a game of strategy and chance (more strategy than chance about 75% to 25%), with even a little flair and psychology in the mix. Try something new and meet new people. Whether you are a complete beginner or a seasoned player who just wants someone to play against, you will be welcome. 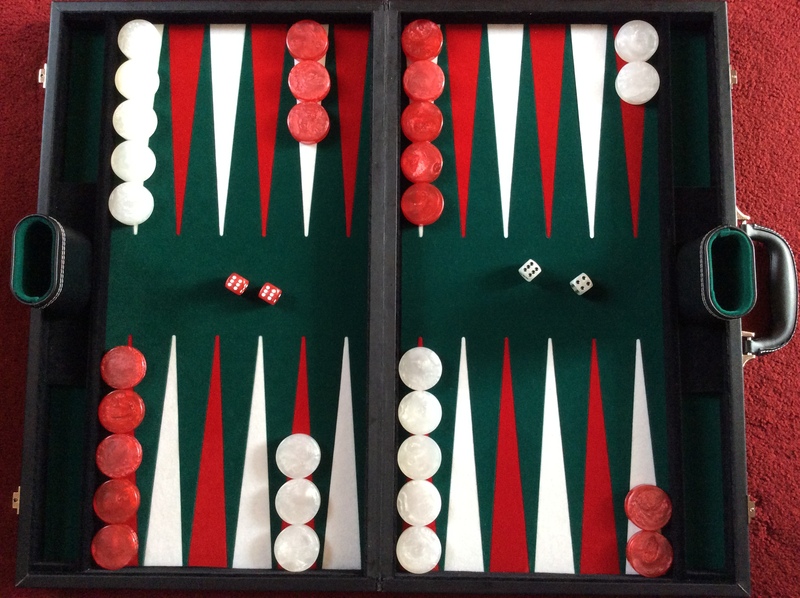 Backgammon is a very interesting, enjoyable and challenging game, and it’s a great way to exercise the brain cells and have some social interaction as well. The basics are easy to learn and with teaching and experience you learn the strategy and skill to win more games than you loose. Although originally a gambling game we only play for fun and amusement. We start by having a social time for about half an hour ( tea and coffee refreshments are available from the Gateway vending machine for just 70p) and the remainder of the time we spend playing the game. We are a good friendly group and enjoy a laugh and a joke as well. The boards are provided, but if you have a board of your own then you are quite welcome to bring it if you wish.